Enchanting designer cottage on a quiet waterfront. 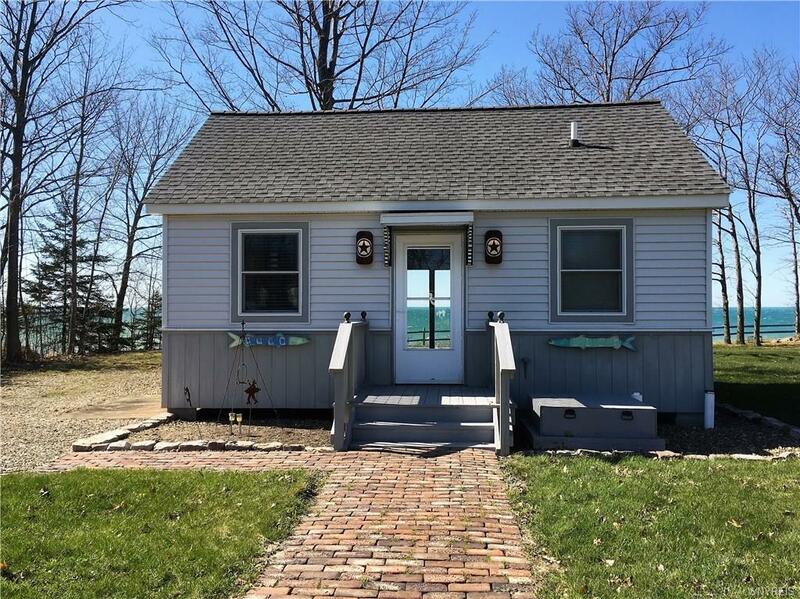 Sit in the shade and watch spectacular sunsets over Lake Erie in the backyard. Distant views of Canada and downtown Buffalo. Almost 3 acres of waterfront property with additional wooded lots to expand and develop. Property includes RV hookup, tree lined driveway with parking for 8-10 vehicles. Newly remodeled cottage features all the amenities of an open concept. Electric, plumbing, windows, roof, full back deck, kitchen with Corian counters, and large shed for storage to name a few. Close to State parks, restaurants, boat launch, summer activities and more. Located in the town of Sheridan with LOW seasonal taxes. Directions To Property: Ny State Thruway To Rt. 20 Towards Silver Creek. Head West On Rt 5 And The Property Is On The Right.